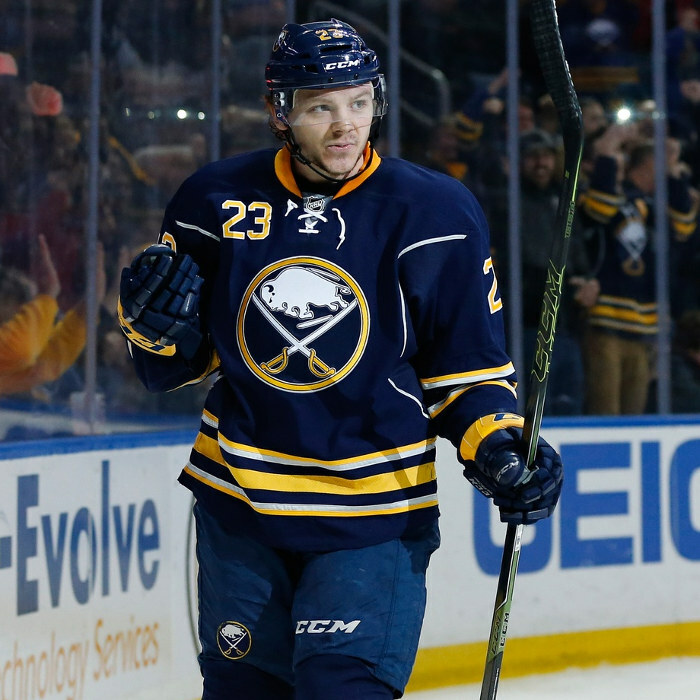 Samson Reinhart (born November 6, 1995) is a Canadian professional ice hockey centre who currently plays with the Buffalo Sabres of the National Hockey League (NHL). Reinhart was selected second overall by the Buffalo Sabres in the 2014 NHL Entry Draft. Reinhart has represented Canada at five International Ice Hockey Federation (IIHF) sanctioned events, two at the under-18 level, two at the world junior level, and one at the IIHF Men's World Championship. He won gold in 2016, gold in 2015 and bronze in 2012 at the under-18 level. Additionally, Reinhart represented Canada Pacific at the 2012 World U-17 Hockey Challenge and Canada at the 2012 Ivan Hlinka Memorial Tournament.